"My OCD had been creating vivid, painful rituals for years. So could Buddhist ritual give me a means to fight back?" "Our society likes to portray obsessive-compulsive disorder (OCD) as a cute quirk, a goofy, if irritating, eccentricity. It is not. 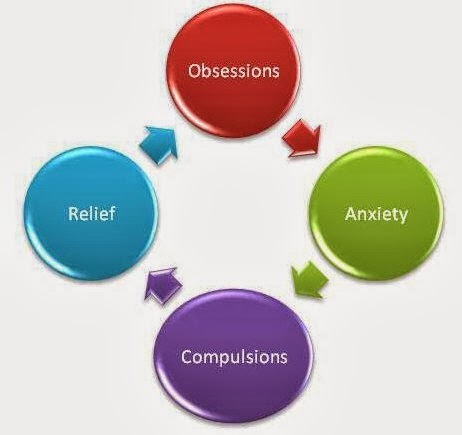 For the person undergoing OCD experience, it is a form of mental terrorism. This terrorism takes the form of what psychologists call ‘intrusive thoughts’ — unwanted, painful thoughts or images that invade one’s consciousness, triggering profound fear and anxiety...."
"...These rituals can take many forms. For some people, it’s the stuff you see on TV — repeatedly checking to see if the door’s locked, counting the letters in words until a particular total is reached, avoiding the cracks in the sidewalk. I’ve experienced some of this, but for me, invitations to ritualise tend to be more purely mental — to ruminate endlessly, to replay anxiety-producing scenarios until I find a way to view them that will dissipate my anxiety (which, of course, never happens). The common thread are the rituals, the promise that there’s something repetitive and formalised that I can do to make things feel better..."
"...Some rituals are designed to help us ‘keep ourselves together’. Others are designed to help us fall apart. OCD rituals are the former, and so are many religious rituals. But Buddhist meditation offers a radical alternative..."
"...Unlike OCD, or the rituals of my evangelical childhood, Buddhist rituals work not because they teach us how to stay together, but because they show us how to fall apart. "...Because the solid ego is a fiction, it requires constant maintenance. We are constantly filtering our experience — excluding information, repressing our feelings, and ignoring our deep connections with other people — in order to defend and perpetuate a narrow understanding of ourselves. In other words, we’re constantly deceiving ourselves about who and what we are. Can You Trust Your Mind? Does Your Brain Deceive You? Naturally, I’d be delighted if you share this embeddable graphic on http://seanrobsville.blogspot.com/2013/10/buddhism-and-ocd-obsessive-compulsive.html , and/or share it with your followers on social. Either way, keep up the great work !